(beginner/intermediate level): $10, No preregistration necessary. No partner necessary. Partners are rotated frequently. Please contact Anita with any questions. July 17 = An introduction to CHACHA!! 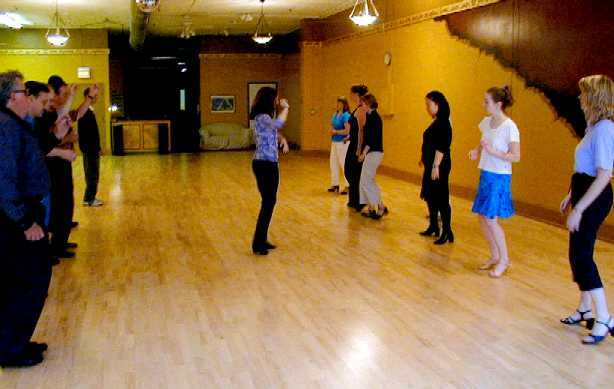 In July, Anita's Club Latin Class continues with Advanced-Beginner level for social dancing, recommended for those with experience dancing the basic step and timing in each of these dances. We will warm up with a solid review of timing, and dancing the basic steps at the start of each class. Then we will move quickly into learning one or two new combinations of steps each week, and will include some styling options. The last part of each class will be time to dance and practice! I'll come around during dance time to answer questions and work a little specifically with each couple. The classes are designed so that students can jump in any week. The exception is ChaCha!!. On July 17th, Ill introduce ChaCha, a lovely and exciting dance that we will hopefully be hearing more in the Milwaukee and Madison clubs. If you can dance the basic ChaCha steps, you'll have a lot of fun with this in night clubs." 7:00-8:00pm Wednesdays. $10, No preregistration necessary. No partner necessary. Partners are rotated frequently. Taught at Eastowne Ballrooms 614 N. Broadway (414) 271-1002. 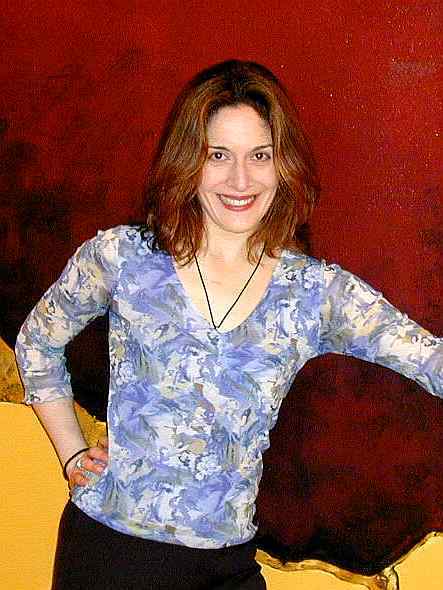 In August 2002, Anita will be teaching an all Bachata class at the Intermediate Level. The first week we will cover the basic step and basic turn pattern, as well as introduce some styling. Then we will move quickly into learning new steps, styling options, and combinations of steps. The last portion of each class will leave some time to dance and practice, and I'll come around to do a little work with each couple. Bachata can be danced with distance between partners, or with varying degrees of body contact and lead. I will teach steps that can either be danced with or without body contact. Partners will be rotated during the first portion of the class. Partners wishing to practice with body contact can do so during the dance session in the last portion of class. Im really looking forward to this class! Everyone's enthusiasm has been wonderful!! And thanks to all who responded to our inquiries!